On the banks of gorgeous Tamarack Lake (330 acres), with its vibrant downtown, beautiful housing, and great schools, Lakeview proves to be a great place to live, work, and raise a family. Lakeview is the epicenter for commerce, living and playing in Cato Township, located in the northern panhandle region of Montcalm County. 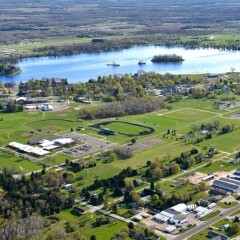 Lakeview has a resident population of about 1,120. During business hours the community serves a population of about 3,000. Lakeview is home to many notable companies; Spectrum Health Kelsey Hospital, Steeple Chase Tool & Die Inc, Parker Hannifin’s brass fitting division and many more. The historic downtown district provides a unique dining and shopping experience for residents and visitors. The downtown also provides affordable commercial space with high traffic and foot counts, conducive to economic development and entrepreneurship. Senior Guidance is an organization dedicated to providing helpful senior living resources for the elderly. The link below will provide extremely well detailed and thorough information on Michigan assisted living. 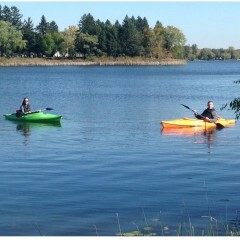 Enjoy Lakeview by kayaking beautiful Tamarack Lake! The “Pickle” and the “Pepper” are now available to borrow through the Tamarack District Library for those 18 years and older with a library card. Also available for Tamarack Lake fun are two paddle boards, "Freckle & Frizzle". Stop by the library to check out a key, paddles and a life vest and then head over to Lakeside Park to have some exercise and fun on the lake. If fishing is your thing, check out Tamarack District Library's fishing poles "Minnow & Shark". After spending time on the lake, head over to TDL and check out the "Coaster" and the "Cruizer" and bike around the Village of Lakeview for more added fun! For more information on borrowing these items, please contact the library at (989) 352-6274. To stay updated on current events in Lakeview, visit the Village of Lakeview Facebook Page!